The Southern character is opposed to haste. Safety is of more worth than speed, and there is no hurry. Certainly an easy and welcome treat to crumble over a bowl of homemade ice cream, (vanilla and peach are my personal preferences) or sprinkle crumbles of praline over a peppery arugula salad with a tangy European whole grain mustard dressing…I’ve included Hugh’s recipe for this simple, but a bit tricky “candy”. 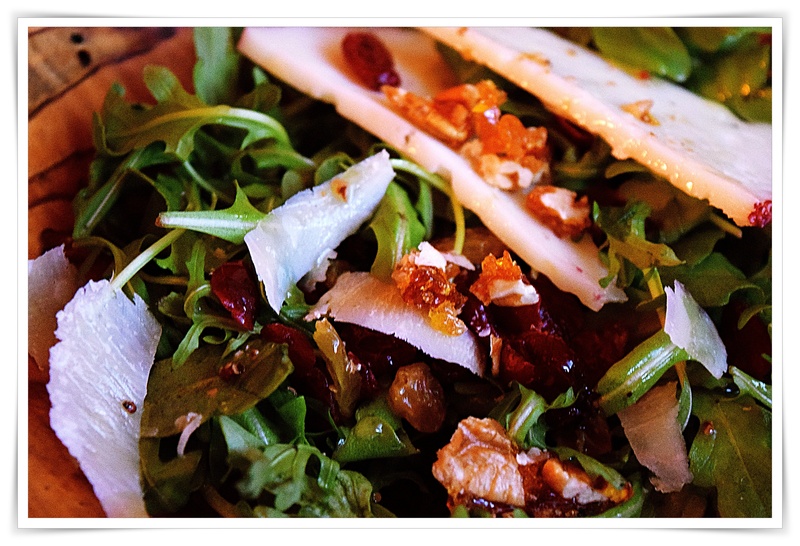 The salad is nothing more than a bowl of peppery wild arugula, shaved parmesan,+Spanish cheese wedges along with a few assorted dried berries then a drizzle of dressing, add crumbles of praline, toss and taste for seasoning. “Tip the sugar into the pan, shake gently to spread it evenly and put on a medium-low heat. After a couple of minutes, the sugar will start to melt at the edges. Shake and swirl it gently as it starts to liquefy and brown. (You can stir it, but be restrained – stirring can cause it to recrystallize.) By the time all the sugar has melted, some of it will be quite brown. Line a baking sheet with parchment. 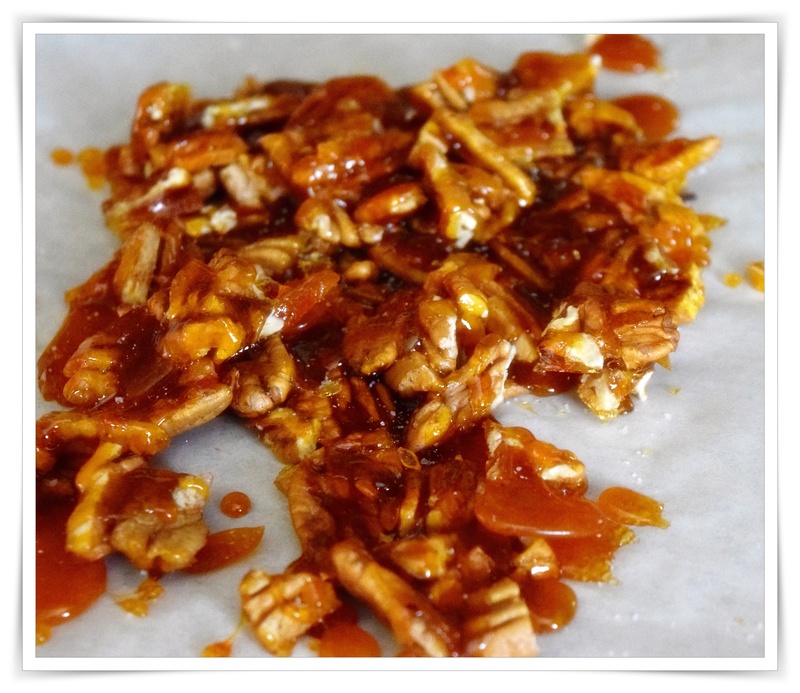 Make the caramel as above and, when it reaches the right colour, stir in the nuts and tip in a sticky lump on to the parchment. Spread out as best you can, sprinkle over the salt and leave to set. Break into small pieces with a blunt object such as a rolling-pin and store in an airtight container.